The band is on stage and the gain levels are set. It’s the perfect time to reach for an EQ control. Or so you think. Instead, the next step should be to balance the instrument and vocal volumes so every musician is heard in the right relationship to the others. 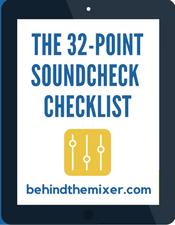 In short, the first part of mixing the band is putting everyone in their right spot. As I call it, volume balancing. Address the proper channel volume levels in the song. Address the sounds that lead the song. During the first song of the sound check, the focus is on the overall volume levels. Once you’ve got those down, then address the second part, the sounds that lead the song. You might be able to do both during the first song, depending on how quickly and accurately you get through the first step. As you move to other songs, any volume balance changes will likely be subtle, probably focusing on a changing lead instrument or lead vocal, but it all depends on the song arrangement. Where Should the Volumes Be? The best mixing lesson I ever learned was this; learn from the masters. Listen to a well-produced song by an award-winning producer and listen to only one instrument for the whole song. Once the song is over, listen to a different instrument or singer. Do this for all sounds in the song. 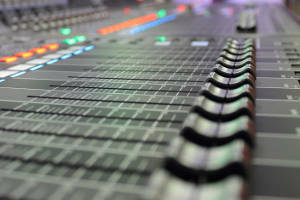 Listen to how effects are used, how sounds blend or contrast with other sounds, and where they sit in the mix – how they are balanced with the other instruments. For example, let’s say your band is going to play a Chris Tomlin song and a Paul Baloche song. Find the original recordings by those artists and listen to those versions. If you use a music-streaming service, like Spotify, this is easy. 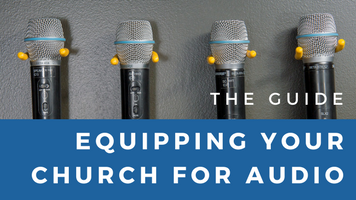 Tip: Ask the worship leader which instruments lead each song. Also, ask if the lead singer changes. This way, you can have your notes ready so you know the volume adjustments expected for each song – and because the arrangement the worship leader created may vary from what you’ve heard. First, the bad news. 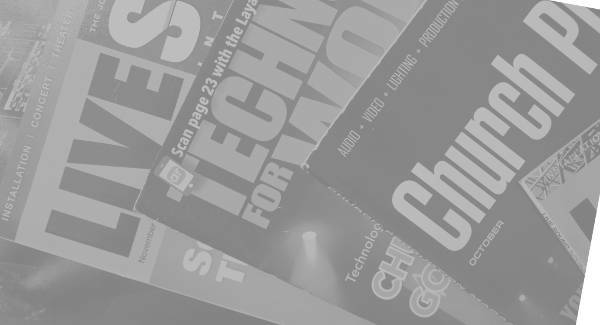 Volume balancing is not the same for each church, each genre of music, or even each song. But that’s ok. You’re only looking at building the initial volume mix at this point. Take into account those expectations before starting. For example, if the pastor requests the drums be kept low in the mix, you’ll need to do your best to accomplish that. The method I use in initial volume balancing is starting my channel volumes on the low side and then boosting where needed. While I do set all my channels at unity as part of my gain-setting process, I’ll cut them back a little before I start. I’ve worked with someone who does just the opposite. They start everything loud and then pull out where needed. I’ve tried their method and it doesn’t work for me. Establish the initial mix with drums. The drums providing the driving beat in a song, whether it’s from the kick drum or the use of the snare. You want the drums to be loud enough in the mix so the congregation can feel that energy, but not so much that all instruments have to be screaming above it. The bass comes in next. You’ll later need to do EQ work so the kick drum and bass each have their own space in the mix. For now, give that bass enough volume so it cuts through the mix. I find a volume just above the drums is a good place to start. Before I get into that EQ work, I want to hear the volume difference between the two instruments. You might have several types of guitars and ways they are played. For example, electric or acoustic guitar and lead guitar or rhythm guitar. This part takes a bit of finesse. Rhythm, whether it’s electric or acoustic can be balanced next. I’d go with electric first and then acoustic but I wouldn’t worry about this too much as you’re looking at a baseline volume setting right now. Lead guitar. This should be a bit louder than the rhythm instruments. The keyboard might be used for synth pads or a melodic line. Therefore, place it where it would sound best in relation to the guitars. For example, a pad would go under the guitars while a melodic line would go on top. There is no definitive answer to each situation as each song is different. Let your ears tell you where to ultimately set the volume. Start with the lead vocalist. Place their volume so they can be heard clearly along with, yet above, the other instruments. The congregation will sing along with the lead singer so they have to hear them above the other instruments. This isn’t to say they should dominate the mix, only that they should be a highlight of it. Finally, bring in the backing vocalists and any additional percussion instruments to fill in the right spaces. The next step is highlighting the lead instruments. Tip: Some churches have strict volume level policies. In this case, follow the above process but work backwards. Start with the lead singer and place them at the loudest spot, then set volumes for all the other instruments underneath. Every song has a lead instrument that carries the energy of the song. It could be a piano melody or a driving rhythm guitar. Adjust the volume balance so that instrument takes the lead over the others. There is some EQ work involved to separate and highlight this instrument, but for now stay focused on volume. Look for what can be reduced. A lead piano would require a higher volume but also look for instruments to lower in volume, such as an electric guitar, that might not sound right with an acoustic piano leading the song. The initial volume balancing should only take a couple of minutes. 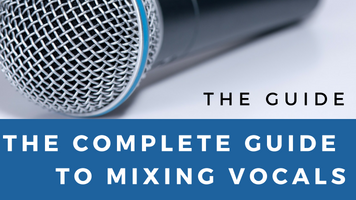 Your ears are your greatest tool so let them tell you when the volume mix sounds right. Once you’ve got a month or so of volume balancing experience, you’ll quickly be setting the initial volume balance without even thinking about it. Once all these steps are done, listen to the mix and how the volumes are balanced and then make any changes. For example, a guitar might need to be boosted or lowered. Finally, as mentioned previously, the EQ process helps immensely in sound separation so don’t try to perfect it with only volume balancing. Reverb will move a channel back in the mix and an EQ boost can move it forward. Fader movement is only part of it. Are you ready to create a great music mix and learn about using EQ and effects and everything else that’s required to do just that? 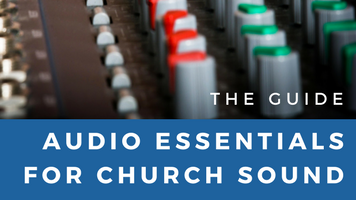 If so, check out my complete guide to church audio. Woow! 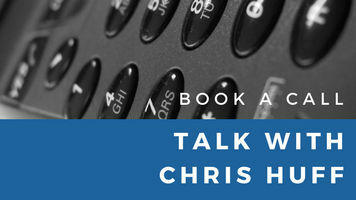 Thanks so much, Chris, for this tips. I really gained alot. Wooow this is really a good piece. Have been waiting long to really get to grips with volume balancing. Thanks so much. Hi Chris. Re band balancing. 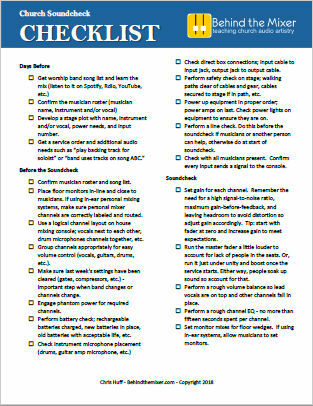 I use the 3/3 guidelines to interact with musicians. (In addition to your advice). Middle 1/3 time for audio operator to get it right, interacting with band if necessary. Last 1/3 Musicians getting edgy about time and don’t want interference. Up to operator to final fix at the desk. Some of this depends on the band. I’ve worked with bands that didn’t practice during the week so the soundcheck / one-time practice before the service was more about them learning the song. And I’ve worked with bands where all musicians show up knowing their parts. I will say I don’t EQ vocals on the first song unless I know they warmed up before practice.